Pulp novels are great and adding illustrations makes them even better. Copying masterful artists is an old tradition that helps support and develop an artist’s skills. I’ve been a pen and ink artist for more than thirty years. I also enjoy scratchboard, but use it more rarely. I’ve copied many artist’s works, including notable pen & ink artists — Henry Justice Ford (1860-1940), Howard Pyle (1853-1911), and William Heath Robinson (1872 – 1944). By copying ink drawings line by line, you can learn a great deal about how the artist worked. For example — Henry Justice Ford (illustrator of the Colored Fairy Books) was a speed demon with a pen. His ink marks could only have been made while working rapidly. Howard Pyle (author/illustrator of The Story of King Arthur and His Knights) is a consummate draughtsman who worked slowly and methodically. William Heath Robinson (author/illustrator of Uncle Lubin) is brilliant. His line marks are elegant and expressive. He’s a master of Notan and incorporates smashing visual rhythm into his pieces. Pen and ink drawings create the illusion of tone (grey scale values) through the use of lines, dots, and solid areas of white and black. 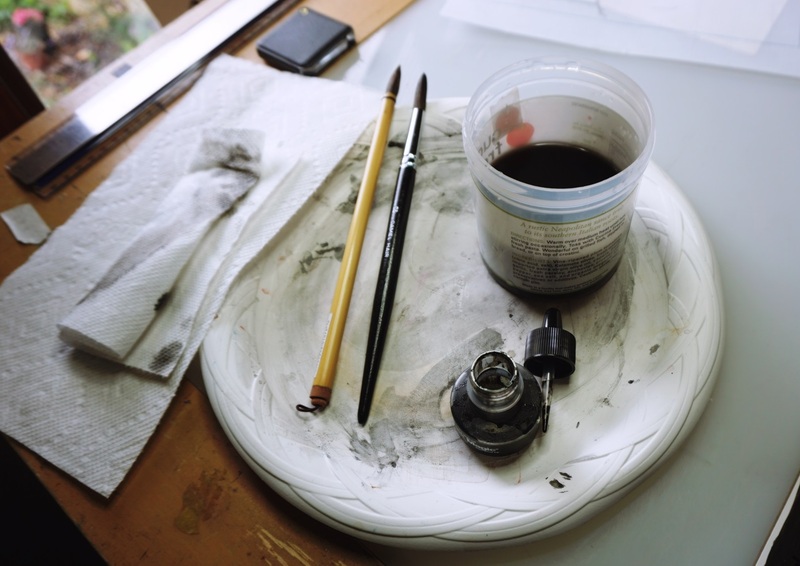 Individual ink marks are important and artists use a wide variety of them to keep their work lively. Ford, Pyle, and Robinson knew the value of impressionistic line marks and used them to help create mood in their illustrations. Even Pyle, the draughtsman, used quirky ink marks on occasion to add softness to otherwise precise work. 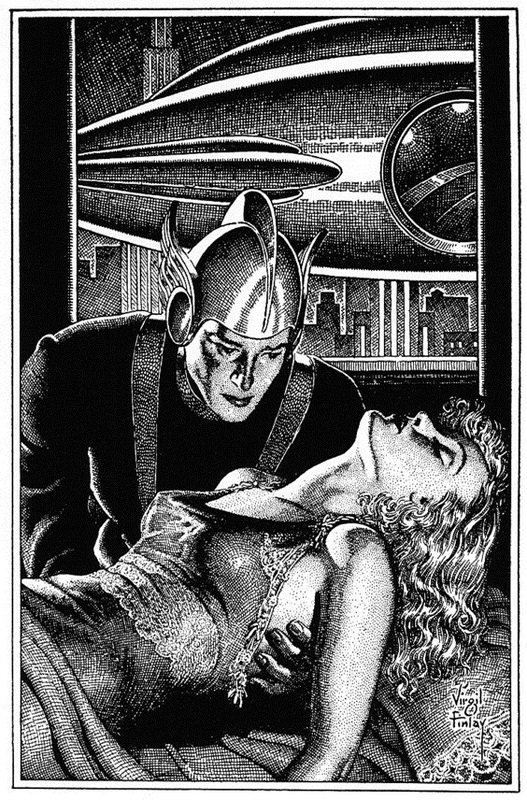 Virgil Finlay (1914-1971) is recognized as one of the best science fiction artists of the pulp era (1920’s through the early 1950’s.) His eye-catching pen & ink and scratchboard pieces are unique within the genre. Finlay used two types of marks almost exclusively for shading — cross-hatch and stippling. His meticulous work reflects Machine Age design, there’s not an ounce of quirky deviation in it and this includes his figures which are exquisitely rendered. 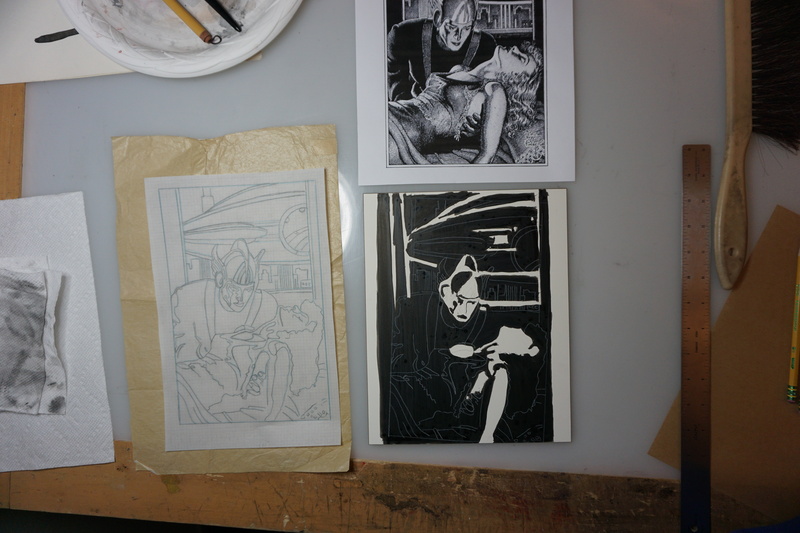 Copying a Finlay piece isn’t as a simple undertaking. 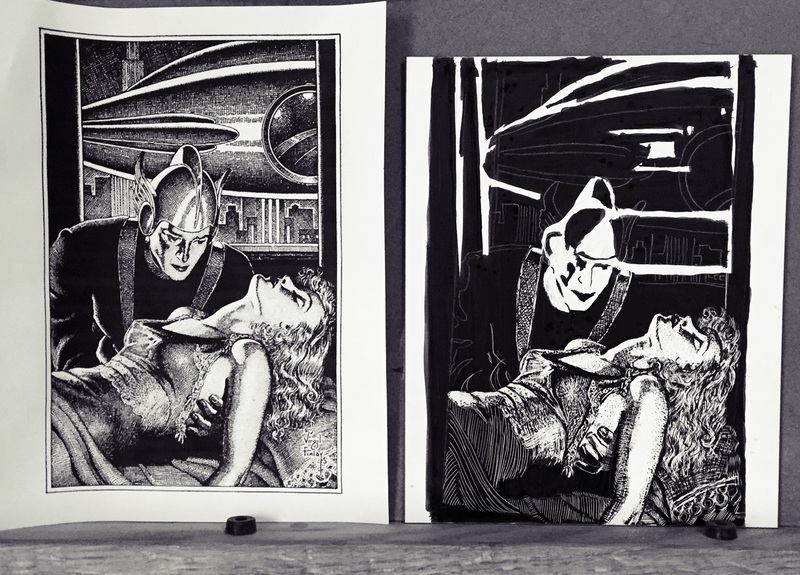 He often worked on scratchboard using both additive and subtractive ink marks. He worked very fast which is astounding considering the high level of detail. I wondered what sort of pens he used, how much of his pieces were subtractive, how much additive, and so on. I chose 9” x 12” Ampersand Claybord for my surface and used an assortment of nibs and pens — a dip pen with a Crow Quill nib, several ink brushes, and Micron pens for the additive marks and a variety of scratchboard knives and tools for the subtractive. Ultimately, I got close to the mark with this copy but not close enough for my liking. I made some initial drawing errors which cost me dearly in the end, especially in the man’s face. As a final measure I did a more accurate pen & ink rendering of the man on Bristol Plate using a Namiki Falcon fountain pen with a fine/medium nib. This nib seemed about the right size for Finlay’s precise marks. I really enjoyed making this copy. Finlay’s marks are solid but as not diverse as Ford’s or Robinson’s. His images are representational but the subjects, wonderfully conceptual. In this way he might be compared to Pyle who also worked conceptually on occasion. However, Pyle’s book illustrations never strayed as far as Finlay’s into the abstract. 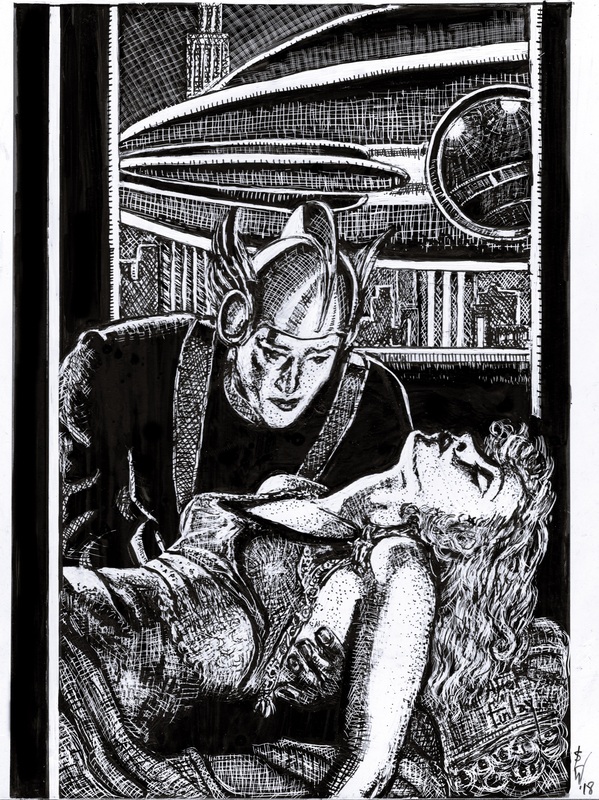 But then again, he wasn’t doing illustrations for pulp magazines. 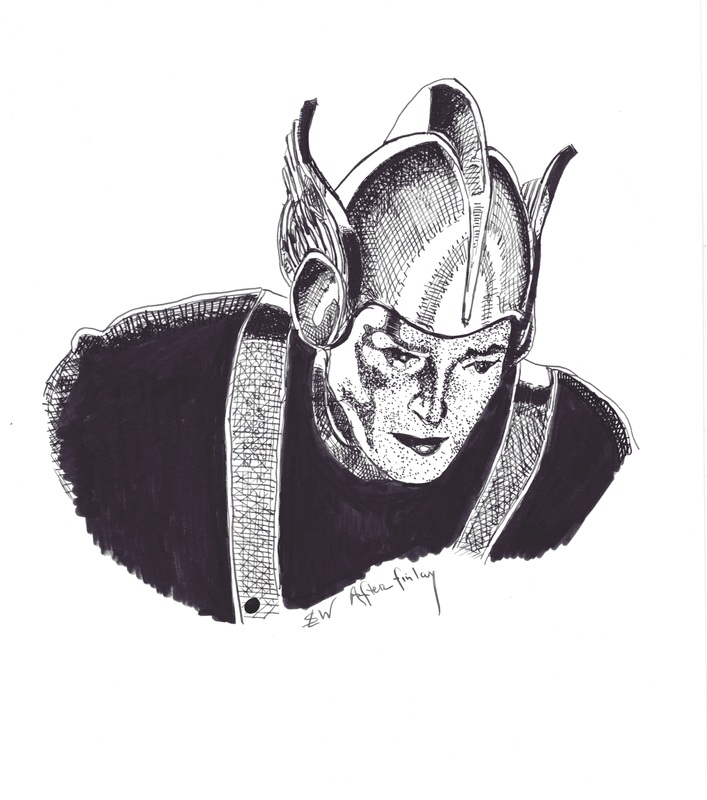 Pen and ink drawing based on Finlay's piece. Finlay was a skilled technician. His use of light and shadow is excellent, as is his sense of texture. His use of limited types of ink marks could partially explain how he worked so quickly. I know from other sources that he also worked 1:1, the same size that the image would be printed. 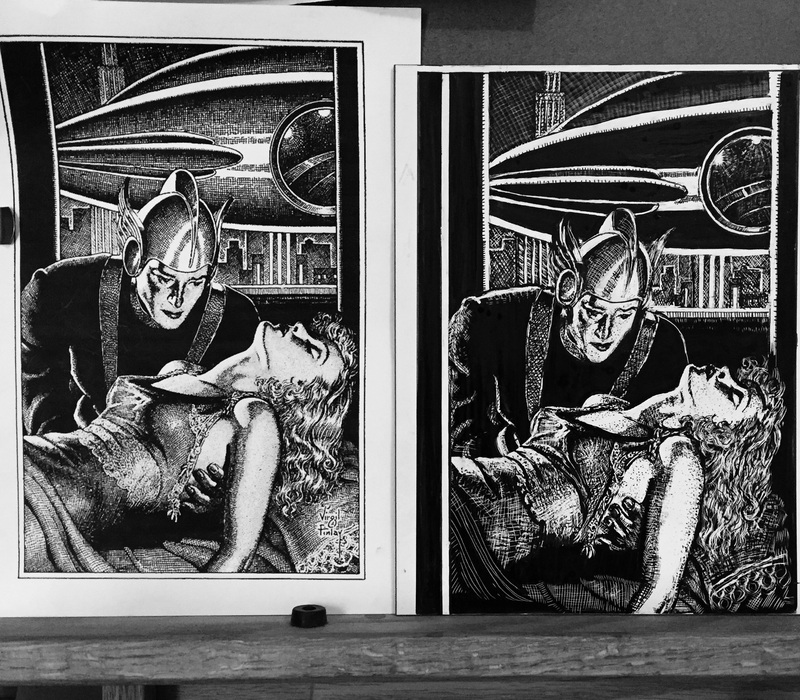 This is unusual for pen & ink artwork which is typically at least 25% larger than the image will be seen in print. Working 1:1 might also account for the high level of precision because he wouldn’t be able to rely on reduction to make the artwork look tightly-rendered. Finlay was an wonderful genre artist with deep skills, especially in anatomy and design and I still have a lot to learn from him. P.S. What is THE ROCKETEER and why is this a supplement? THE ROCKETEER is the official newsletter of the Space Explorers Club. 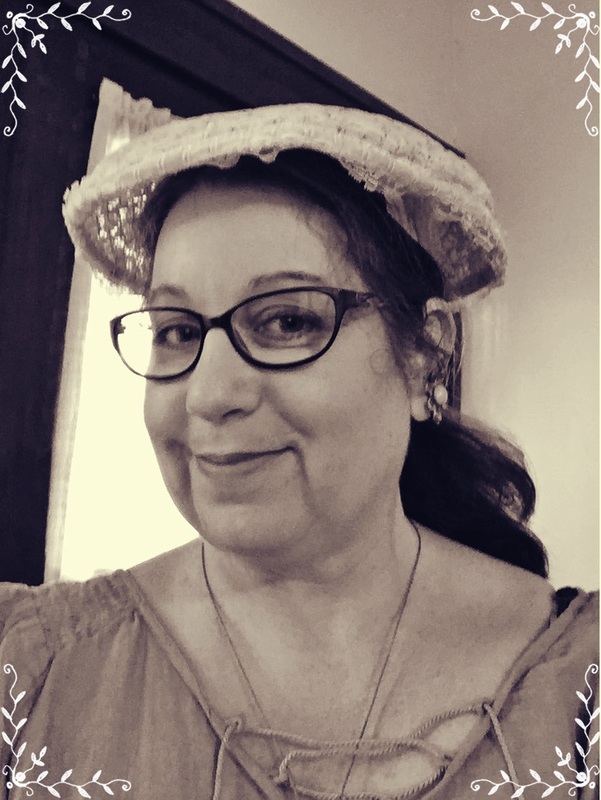 This article is supplementary to the “From The Drafting Table” column of the May 2018 newsletter.